Join this webinar for a FREE demo of AutoEntry. 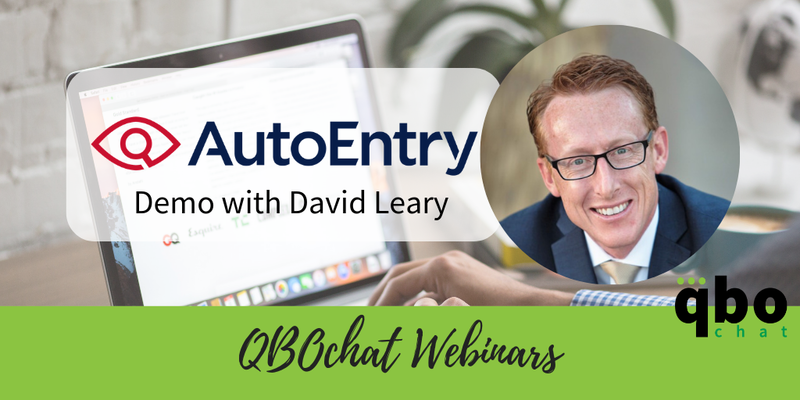 David Leary will be showing us how AutoEntry can make the life of a bookkeeper or accountant easier with all of the amazing features you’ll find in the app. By signing up for this webinar, you agree to share your email address with AutoEntry for marketing purposes.